Worldwise, a leading pet products manufacturer, announced today that they will be merging with Quaker Pet Group, a leader in the industry and an innovator of pet carriers and dog toys. This merger will bring together two heavy hitters in the dog product market and will combine their creative energies, innovative thinking, and expertise. Worldwise has been bringing top-quality, environmentally friendly pet products to dog owners for over 15 years. Their mission has been to make environmentally responsible products that are affordable, attractive, and accessible to every consumer. Their brands include SmartyKat, TrustyPup, and Petlinks. The company strives to create innovative products that are made principally from recycled, renewable, reclaimed, and certified organic resources. Their products are found at many of the nation's largest chain pet retailers. Quaker Pet Group was founded in 2010 and is dedicated to providing top-quality products for pets and their owners. 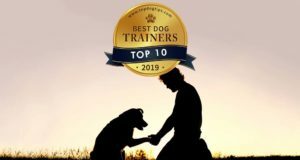 They create innovative, solution-based products, and their brands include New York Dog, Silver Tails, Vet Tech, Hear Doggy!, GoDog Products, Claok &Dawggie, Sherpa’s Pet Trading, and Fox & Hounds. Worldwise is already a leader in pet bedding and cat accessories, and this merger will allow them to become a trusted and established resource in the dog toy and carrier market; a market that has grown by leaps and bounds in the last couple of years. Together, the combined company will be able to expand its reach across multiple pet product segments. It will also reach across more distribution channels, meaning that it will continue to grow aggressively both at home and overseas. Kevin Fick, CEO of Worldwise, says that the company is extremely excited about the merger. He says the merger was a logical move because both companies stand for solution-based, innovative, high quality products that enhance the lives of pet parents and their furry companions. The companies complement each other perfectly, which makes the merger a great choice for both businesses and will also benefit consumers and retailers as well. Fick says the new company will be able to meet the needs of consumers and retailers faster and will bring more innovation to the pet community around the world. He is also excited because the merger will enhance the company’s ability to acquire more brands in the highly fragmented pet accessory industry. He is hoping the merger will lead to new advancements and new product lines in the very near future.